We have a limited time frame for response and so we’ve opted to collect feedback using a web-based and paper-based survey. Please take a few moments to answer and voice your opinion on how the Ministry can better meet the education needs of our children. We hope to receive all responses by November 10. 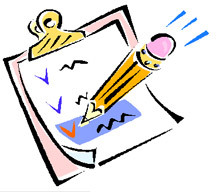 Or you can complete & submit the paper survey which is being distibuted via students’ backpacks this week. The responses from the Bowmore Community will be summarized for submission to the Ministry by November 15. In addition the summary will be posted for review by the Bowmore Community. Please complete this survey by November 10. More information on the Ministry consultations can be found here.